A Matter of Memories: :WORD ART: TWO Word Art Freebies for YOU! 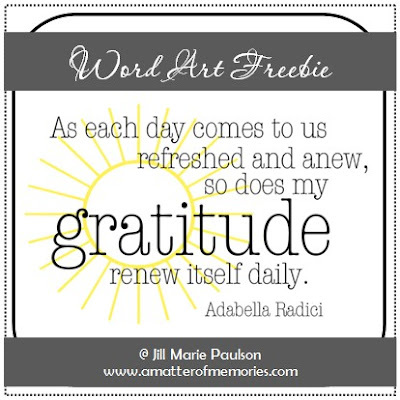 :WORD ART: TWO Word Art Freebies for YOU! Well, there was a tie between the Willie Nelson and Adabella Radici quotes and I couldn't choose between them to break the tie, so...you're getting TWO word art freebies today! This is my Black Friday deal for you! 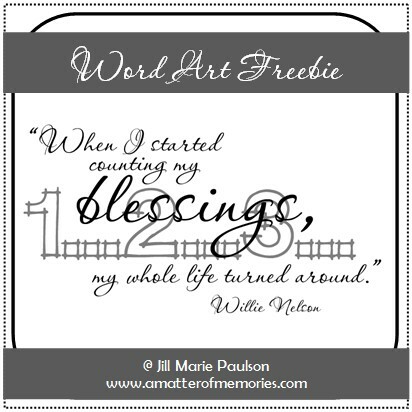 I hope you like them and that you can find a use for them...perhaps on a layout commemorating your Thanksgiving celebrations this year.